Takes me back to The Beatles. This all said i am getting close to really liking the Minibrute 2 – we’ll see, i’m not jumping like i did with the Digitakt. I think the interface, feature set and patchbay are really great! I love the keystep sequencer. 4 Lfo’s if you count the second osc and the loopable Envelope. The brute sound is questionable. Some love it, some don’t. I was always torn back and forth. First thing that caught my eye was, that there is a complex oscillator in there basically. Two Vco’s with analog fm, wavefolding and waveshaping options. That’s special. Of the new synths, I only know the 0-coast that offers that, but way more limited. You have to calibrate and sacrifice the slope and no waveshaping options. But a better wavefolder as far as I can tell. What does Zelda have to do with Arutria link?!?!?! It’s a pic of link! Zelda is the Princess in the game which confuses pretty much eeeveryone who has ever lived on earth. Riiiiight. Then who are the heros of Super Mario Bros?!?!?! Is this a trick question about intendo games!!?? Anyone else think the Nintendo creatives are on pot as they come up with new ideas? As if! Now you have my attention. Is AM as well as FM possible? Been enjoying the Buchla Music Easel V plugin a lot recently. i had minibrut i did not like the sliders and how they respond. sound was great in my opinion. 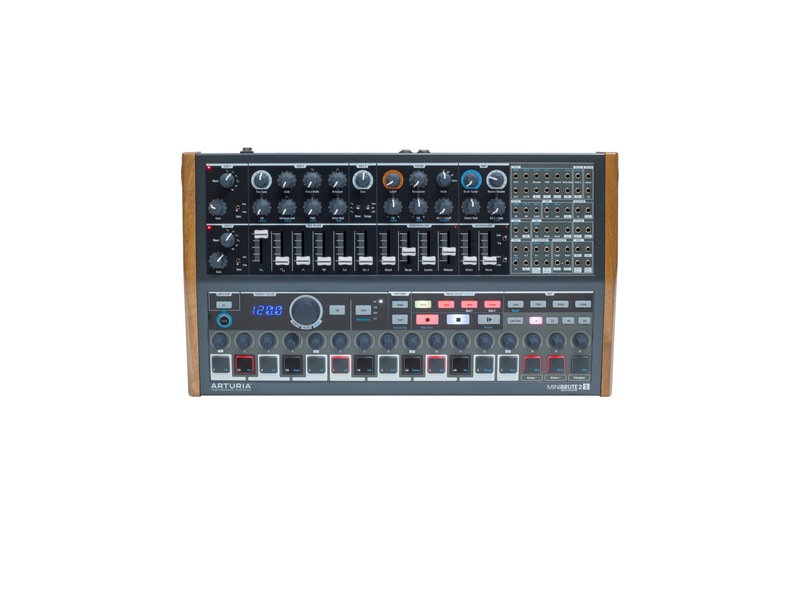 It replaces the keys of the MiniBrute 2 with a sequencer. Now that’s what got my attention! The 2S looks like a blast! A bigger form factor than I’d personally like but looks like so much fun. The step sequencer has got me drooling. Does it have a motion sequencer ala the Monologue/Minilogue? That graphic in the video seems to show one. Edit: I know I’ve said it before about the Monologue but seeing this for $649 reminds me how dirt cheap the Monologue is for all you get with it. No patch bay, etc, but still a steal for $299. $649 is probably going to be a tough price point for Arturia with all the sub-$500 monosynths available. What’s the unique selling position here? The patch bay?